Willows Farm Shop is a must for all who enjoy their food. Bringing you the best from British farms and some great specialities from the Continent. Expect a warm welcome, old-fashioned courtesy and plenty of advice from our experienced staff. 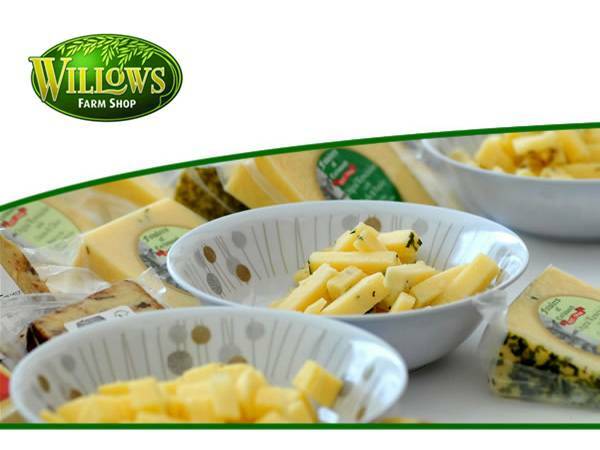 At Willows Farm Shop you'll re-discover the fun of food shopping. The Butcher's department has real butchers who know the exact origin of the meat they expertly prepare to any cut a customer wants. They know how long the beef has been hung, because they tell their supplier how long to hang it. They make the farm's sausages and sell local game. Cheeses at Willows offer some tantalising choices. Savour the Stilton from Colston Basset, the fine, unpasturised cheddar from the Isle of Mull, or a melting organic brie from Cornwall. The fruit and vegetables at Willows come straight from local farms farming the old-fashioned, traditional way with minimum chemicals and maximum care. Willows Farm Shop will be full of farm-fresh produce and locally sourced foods including seasonal vegetables to grace the most discerning tables plus incredibly delicious deli food. Gift hampers also made to order. Willows Master Butcher offers a selection of tradionally reared fresh meats. What Does Willows Farm Shop Sell? Where is Willows Farm Shop?